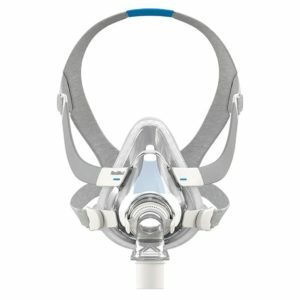 This is a mask unlike anything Resmed has ever designed. The AirTouch F20 is the first ResMed mask to use proprietary UltraSoft memory foam cushion technology for the perfect blend of comfort and performance. The AirTouch F20 delivers unprecedented comfort and a light, breathable seal – even at high pressures. And with its modular frame design, you can conveniently switch between AirTouch 20 memory foam and AirFit 20 InfinitySeal cushions, without removing the mask frame, until you find the best option.